Get ready for the sharks and the almighty dragons! 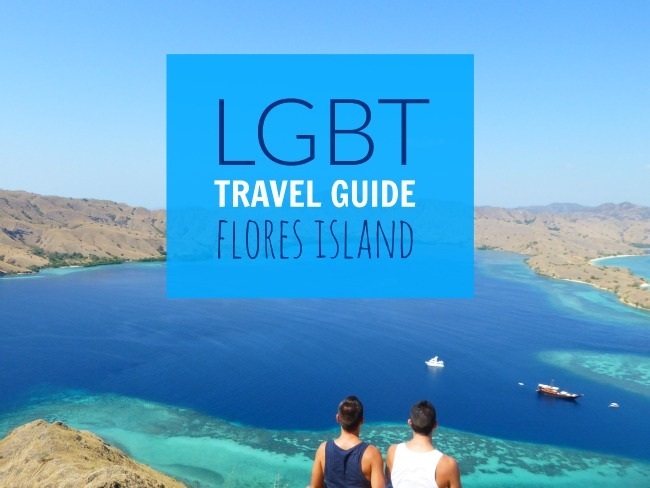 This is our gay friendly travel guide to Labuan Bajo and the island of Flores, the base for the mind-blowingly incredible underwater world of Komodo National Park. Oh and did you know Flores means flower in Portuguese? It originates from the large Catholic influence brought over by the Portuguese colony in the 1511-1846. Flower island – another reason to love this place. Labuan Bajo is a fishing town on the western side of Flores island used as a tourist base for trips to the Komodo National Park. What used to be a small fishing village is now a bustling tourist centre with its own airport and daily flights to Bali. Labuan Bajo is also a good base to visit the rest of Flores island, which is abundant with village life, caves, mountains and beautiful waterfalls. We did our dives with Blue Marlin and decided to stay with them. Their deluxe rooms are modern, comfortable, with a delicious breakfast and private balcony. Deluxe rooms cost 950,000 rupiahs (£45/$70) a night. Blue Marlin also offers 4 bed dorm rooms at 150,000 rupiahs (£8/$11) per person, or 120,000 rupiahs (£6/$9) a night if you dive with them. Beautiful and small Bed and Breakfast with a very friendly owner. Located higher up in the mountains, it is close enough to the city centre but far from all the noise. The breakfast is plentiful and delicious. Prices start from 650,000 rupiahs (£30/45$). High end option with large, spacious beach front villas and incredible views overlooking the sea. Great for couples looking for that romantic, postcard perfect island holiday. Prices start from 2,060,000 rupiahs (£100/$160). Blue Corner: good for local food like gado gado and mee goreng. Happy Banana Sushi: popular for sushi and rated as the #1 restaurant by Tripadvisor. Made In Italy: very popular Italian restaurant and highly rated for its pizzas. La Cucina: another Italian, famous for its pastas and excellent coffee. Let's get one thing straight(!) – just as we experienced at Senaru Village on Lombok island, don't come here expecting pink mania frenzy. There's none. However, there is a very mixed, international crowd, predominantly into scuba diving and/or involved with tourism. Paradise Bar: popular on Saturday evenings when it has a live band performing. Blue Marlin bar: there was always a fun atmosphere at the Blue Marlin bar every evening after sunset as fellow divers compared notes over an ice cold beer. Gay Pride Labuan Bajo…ok ok, now we're just being silly…! The majority of people come to Labuan Bajo and Flores Island to see the Komodo dragons and for the diving. There is of course more to explore on Flores island, but as keen divers, the highlight for us was the underwater world. The Komodo National Park was established in 1980 and comprises the waters and islands surrounding Labuan Bajo just off Flores island. It was declared a World Heritage Site in 1986 and has been well preserved since. It forms part of the Coral Triangle, which contains some of the richest marine biodiversity on earth. It was also selected as one of the New Seven Wonders of Nature in 2011. 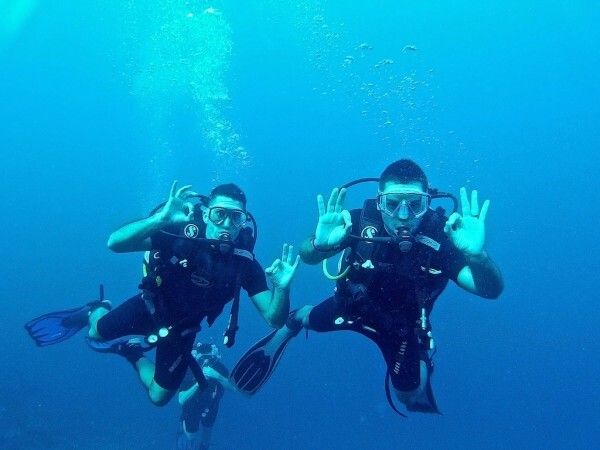 After all our diving experiences, such as our Open Water and Advanced courses in Koh Tao, fun dives in the Maldives and also in the Philippines, our experience diving in the Komodo National Park topped it all. So be warned: after diving here, your expectations will be so high that subsequent dives will pale into comparison! 2. Meet Keith and Kenny the Komodo dragons! The Komodo National Park is most famous for being home to the largest living species of lizard. 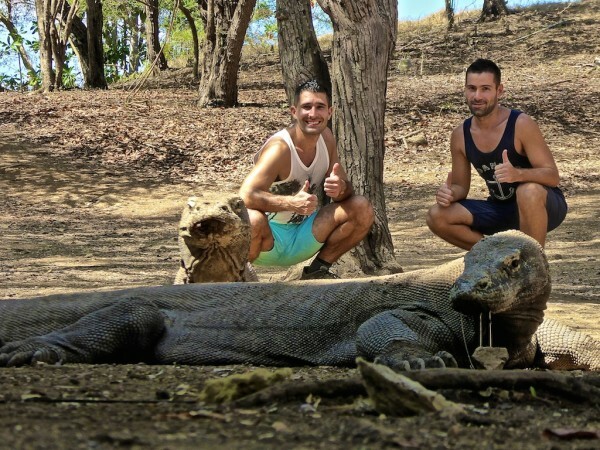 We visited the Komodo Dragons on Rinca Island and met the very charming Keith and Kenny, the new Nomadic Boys! Unlike Stefan and Sebastien, Keith and Kenny can grow up to 2-3 metres in length. They gained their nickname due to their dragon-like appearance and aggressive behaviour. 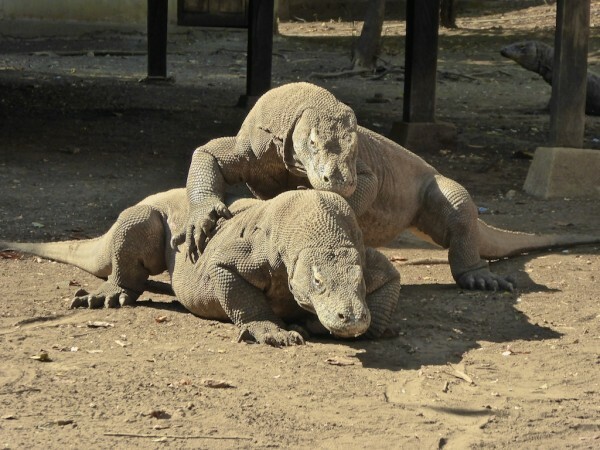 You can visit the dragons either on Komodo or Rinca islands. The tours are with the park wardens who know how to safely manage the dragons and will help you stage some excellent photos with them. You can easily arrange tours to Rinca and Komodo islands from Labuan Bajo but if you are tight with time, book it online. The best way to truly experience the Komodo National Park area is to spend a few days living on a yacht in the surrounding area, diving, snorkelling and visiting remote islands you wouldn't otherwise be able to reach on a day trip. We went on a luxury liveaboard experience around the Komodo National Park with The Samata, a traditional Phinisi Indonesian yacht. 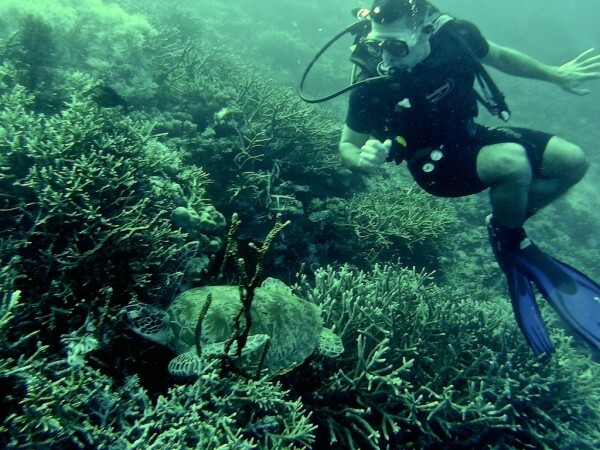 The Samata is geared for scuba diving and snorkelling with excellent, new equipment. It has 2 speed boats attached to it at all times, ideal for short diving and snorkelling journeys when anchored. The cost of chartering a liveaboard experience in the Komodo National Park or in Raja Ampat on the Samata for 2016 is $3,800 for 2 guests per day and $250 (per day) for each additional guest, plus 10% tax. For more information, please refer to our post about our liveaboard experience with the Samata. 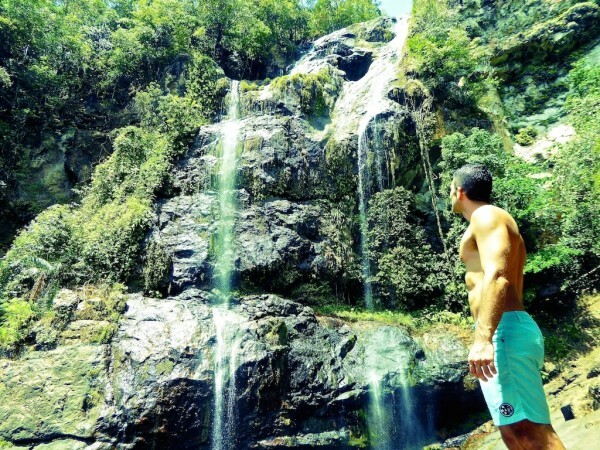 Flores island mainland also has a great deal of natural wonders to explore, like Mount Kelimutu with the Coloured Lakes, Batu Cermin cave and the awesome Cunca Rami waterfall. 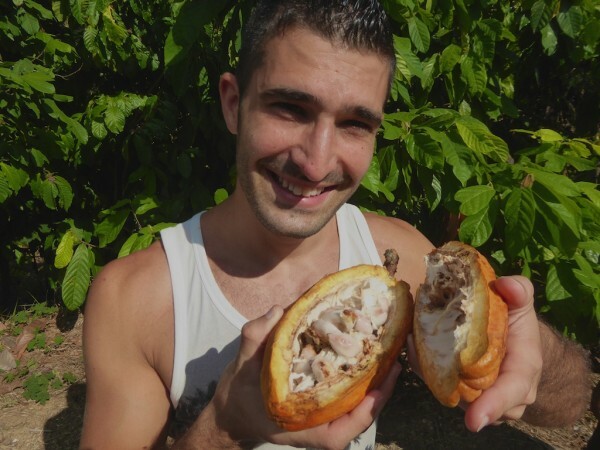 In addition to all the natural highlights, there are many coffee farms, paddy fields and cocoa plantations spread throughout the island. 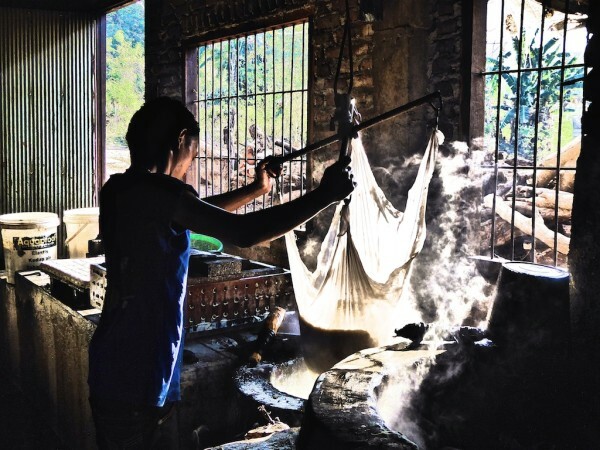 Another less famous activity on the island is tofu making, particularly at Merombok village where it is mass produced. We watched a group of boys pounding the beans, soaking them, heating them up to then shape into cubes, drying them and eventually selling them in bulk. We recommend the very charming Juvens, who's a local guide and has his own tour company called Explore Flores. 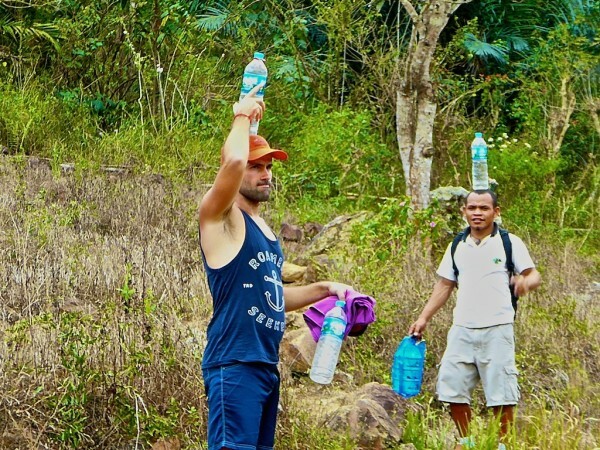 Juven runs a variety of daily trips and multi day tours aimed at doing just that: explore Flores! We had an excellent day trip with Juvens who is extremely passionate about his island and wants to tell the world about it, while making you smile at the same time. To book a tour with Juvens, send him a message via the contact form on Pure Flores' website. U still In labuan Bajo? This looks like absolute paradise! I’ve got some new islands to add to my ever growing globetrot list, thanks for sharing! Diving here looks amazing, I’ve got a visit to indonesia on my list specifically for Komodo Island, though I had no idea that there was a whole underwater world there too. My main purpose was to see the dragons. Going to have to get my diving cert before we go! 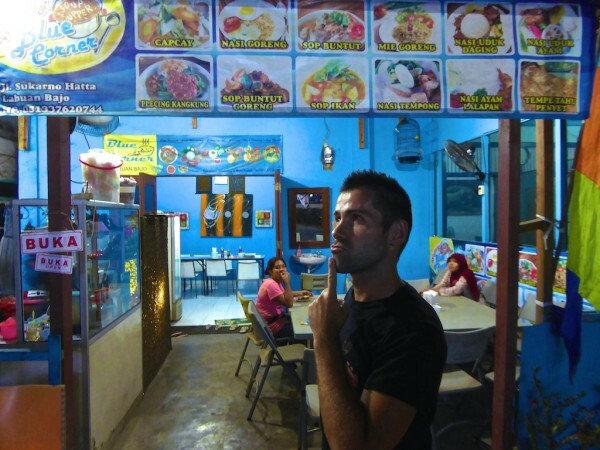 Hi guys, it is cool that you write about gay friendly accommodations. 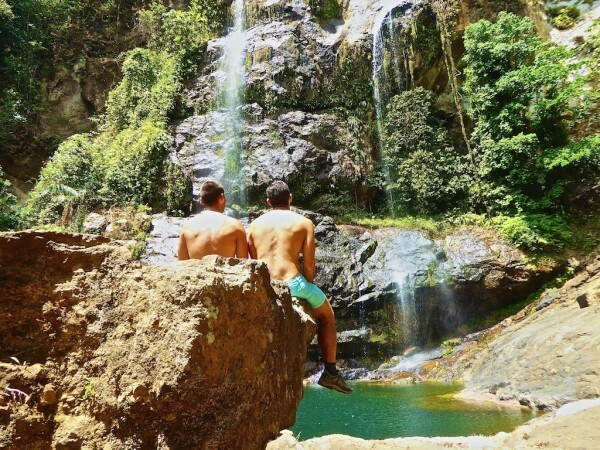 There are countries where LGBT travelers can get real issues on the way. So it is great that there is such a resource on internet. I hope you enjoyed Komodo! I’m now in love with Keith and Kenny. I only made it as far as Lombok. My bad. Do you know if there is still a lot of malaria in Flores? Years ago it was supposed to be a problem. I’d love to go there! Hi Carol thanks for your message. No malaria issues when we were there. Your photos are simply gorgeous! I’m a bit freaked out by water – sometimes I can overcome my panic to snorkel, but diving is really out of the question. Thanks for taking me with you. Flores looks delightful. With so many islands, Indonesia could take a lifetime to explore. They are adorable – they seem so docile, but this is deceptive of course! Oh my word! I’m not sure how you got so close to the Komoda dragon without tinkling yourself! Those things terrified me on animal planet! Oh I love the Samata! I stayed at the Plataran when I went to Komodo but quickly realized that it would have been years better to stay at a live aboard because otherwise you are stuck in the mainland and have to sail for 2-3 hours to find the dive spots, not good and a waste of time. I have a friend coming to visit me, I’m sending him this guide! I love how much of Indonesia you guys have been able to explore! The Flores Islands looks beautiful and full of great things to do! LOL – that’s actually the point! When we check into a place and we are made to feel like we would in Holland, then it ticks the pink box. But most places not accustomed to that assume we are brothers or if they do know and have issue with us wanting a double bed for example that immediately creates a non-pink friendly barrier. 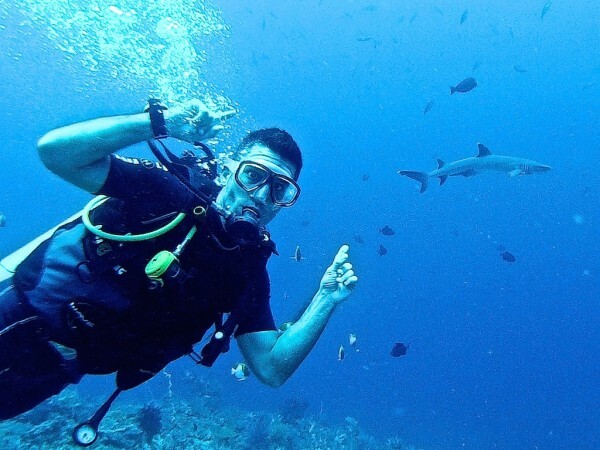 I love the diving in Indonesia! So much to see while under the sea. Great pics too! You’ve captured the moment quite well! 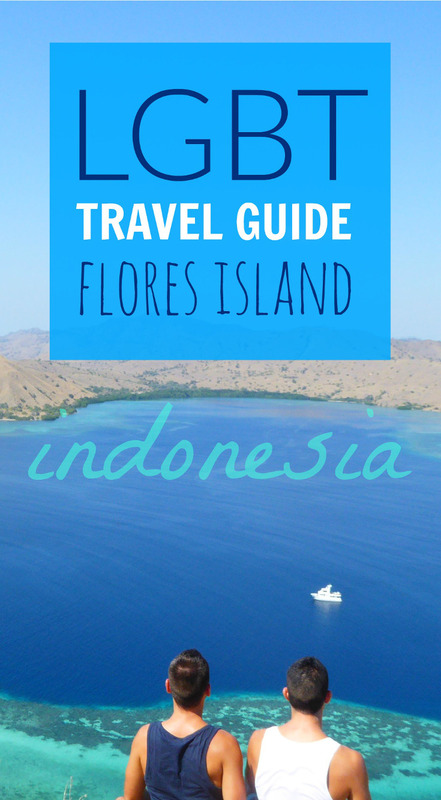 I visited Flores with 35 other bloggers 2 months ago and we definitely loved it! However, we weren’t able to do the water sports stuff (diving). You have stunning photos, it’s making me want to go back to Indonesia! Wow! 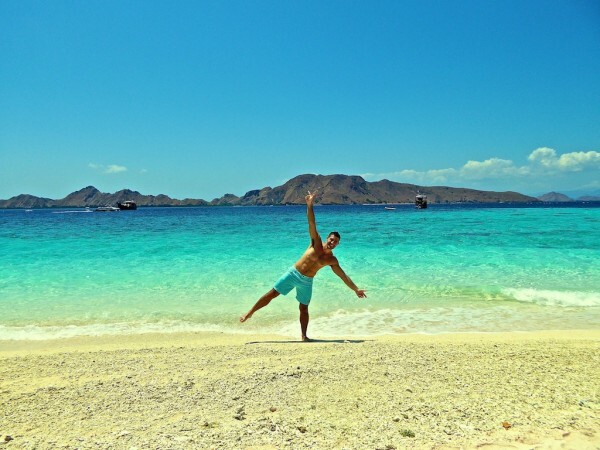 This island looks so diverse between the beaches and the komodo dragons! I’d love to visit that national park to see them up close. The tour of the island with the local looks amazing, too! Love that you saw tofu getting made. Thanks for putting this island on the map for me. La Cucina! When I visited Labuan Bajo, the trip organizer kept talking about this place as he knew I am from Italy. He kept saying that the owner is Italian and wanted me to meet him. Eventually, I never got to go as there was no time and all our meals were organized and I could hardly get out on my own. BUUUUT, you never know. Flores was by far my favorite place of all the ones I visited in Indonesia, and the first one I would go back to. I looooove the dragons. They didn’t seem scary, did they? You heard of Cucina as well 🙂 Yes yes agreed about the dragons – they seem so docile…! #1 One day, I’d really love to go diving, I’ve only snorkeled. #2 You 2 are a bit too close for comfort with Keith and Kenny. 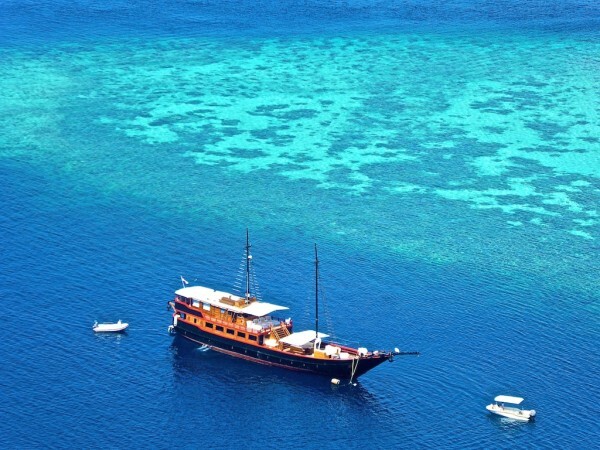 #3 The liveaboard is definitely on our list now. I visited Labuan Bajo last year and reading you post, I think I should have gone diving or visit Flores instead of going to see the Komodo dragons! While everyone talks about the dragons I thought the visit to their island was a bit disappointing at best, not much to see, not many dragons and the ones we did see were just lying around the kitchen building in the camp. Flores however, I have heard a lot of good thing about, so I’ll be checking it out next time I get to Indonesia! You guys have done it again….inspired me once more. I LOVE Lombok, it probably is one of my favourite places in the world and hence I don’t often leave when I get there. Having read this it looks like I need to go further east and check these incredible places out. With the luxury cruising do you need to have a group or can the two of you go with other people you don’t know? We are trying to plan our upcoming Southeast Asia itinerary and this article puts Flores Island as a front runner. The luxury liveaboard option looks amazing! We used to dive quite a bit in New Zealand and around the pacific islands which have beautiful coral and marine life but have never been diving further afield. I’m interested that you ranked it so far above other well reputed dive spots . OMG by far – it’s amazing here and if you’re advanced, this is THE place to come. 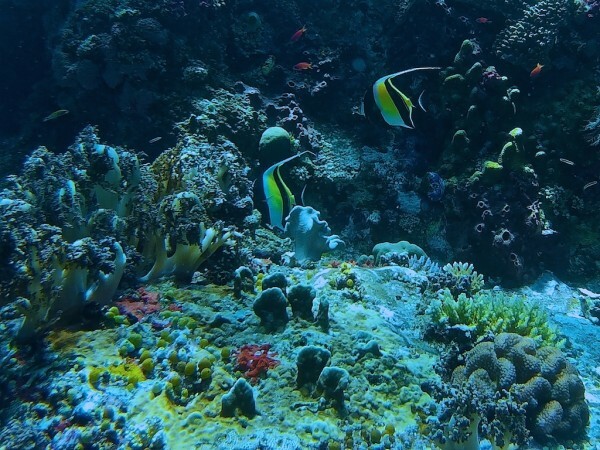 How’s the diving in the pacific islands you visited? The flores islands look really nice! 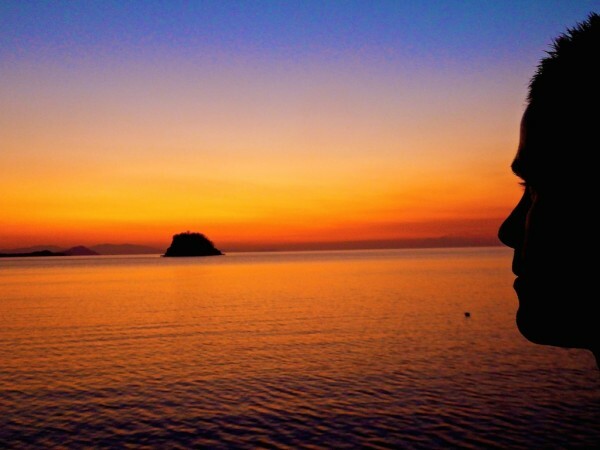 As I can see from your trips Indonesia has many beautiful islands worth exploring! Staying at a traditional Indonesian yacht is something I would love to do along with exploring mainland the beautiful waterfalls!